Thigh lift, also referred to as thighplasty is a procedure aimed at surgically reshaping your thigh and groin area. 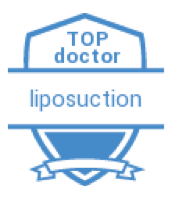 It improves contour and tightens the underlying tissue that support the fat and skin in these regions. Indications for a thigh lift. If you have significant excess skin along the inner, medial or outer thighs. Poor skin quality in the thighs following bariatric surgery induced weight loss. At Chennai Plastic Surgery, our cosmetic / plastic surgeon will spend extensive time to understand your medical history and personal goals. Besides they shall assess your general health status, examine your thighs, discuss other possible treatment options, risks and finally suggest the recommended course of treatment. 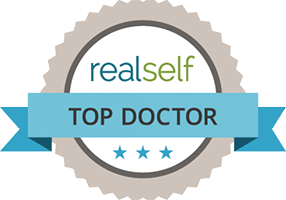 At times, if our surgeons feel that you are not close to your ideal weight, they may advise that you lose some more weight before you opt for the procedure. Feel free to clarify your concerns relating to the procedure during this time. What to expect before the thigh lift surgery? How is the thigh lift surgery performed? At Chennai Plastic Surgery, the procedure is performed under general anesthesia and can take between 1 to 2 hours. *Individual results may vary. The incision pattern depends on the degree of correction desired. Medial Thigh Lift. Here an incision is placed in the groin, extending downward and up to the back of the thigh. Lateral Thigh Lift. For improving contours of the outer thigh, incision might have to extend from the groin around the hip. Once the incisions are made, the preoperatively marked areas of excess skin just below the junction between the thigh and the pelvis is excised. The inner thigh skin is lifted and pulled upwards and sutured along the junction. 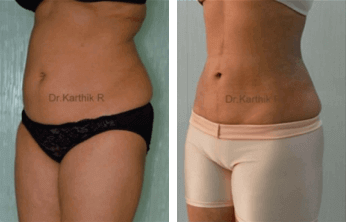 Often, our surgeons will offer the option of combining the thigh lift with a tummy tuck, which is purely your choice. Incisions are often closed in multiple layers. What to expect after the thigh lift surgery? Following the procedure, dressing is applied along the sutured areas. Small drains tubes are temporarily placed under the skin to drain any excess blood. You will be encouraged to walk the next day and may require a day or two of hospitalization. You will be advised to wear customized compression garments for a couple of months to avoid hematomas and reduce swelling. Sutures, if any will be removed about 2 weeks following the surgery.